The chief for the International Monetary Fund, Lagarde Christine, has replied to the debt leak reports by Wikileaks as simply nonsense. Via a letter that was sent by IMF to Greek Prime Minister, Lagarde said IMF’s method of negotiation has always been done in good faith and that the organization doesn’t pass messages through leaks. The letter is a response to a purported transcript in which IMF officials talk about the bailout negotiations. One of the officials says that a “crisis” can be helpful in forcing a deal. When the leak happened, Greece demanded for explanation and said that IMF may decide to prolong the negotiations concerning debt until the country became bankrupt. Ms Lagarde said the “incident” had made her “concerned as to whether we can indeed achieve progress”, but said she had decided to allow the IMF team to return to Athens to continue debt discussions. However, she noted that the recent bailout is still far from being actualized. 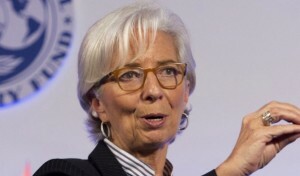 She went ahead to explain that IMF supports only a deal that has the potential of causing robust growth for Greece while at the same time makes it possible for the country to pay out its debt. It is expected that talks between Greek, IMF and EU over bailout review will resume this week. As disagreements continued to be witnessed among the lenders, the review of how Greece has progressed in implementing money-saving reforms has been suspended two times since January. “In the interest of the Greek people, we need to bring these negotiations to a speedy and inclusive conclusion,” wrote Ms. Lagarde.